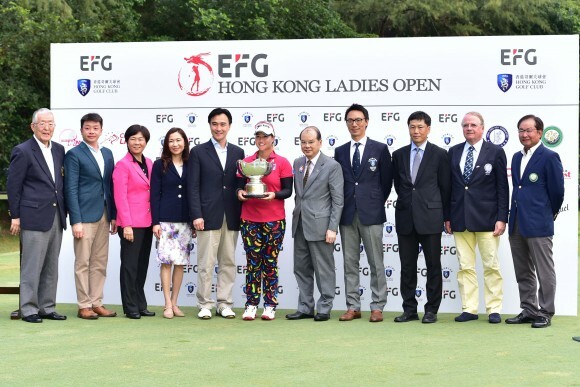 HONG KONG—KONG In hot, humid weather 117 lady golfers from 16 countries battled firstly to beat the cut and then to challenge for the EFG Hong Kong Ladies Golf title, at Fanling Par 72 Old Course between Friday June 9 and Sunday June 11. Although there was a wide spread of performances in the overall field the top players performed admirably, with the winner Thailand’s Supamas Sangchan posting a final -10 to win the title. 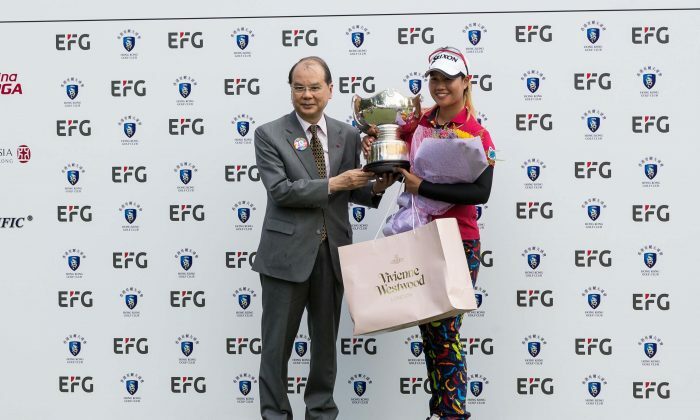 There were a number of players in contention with 29 player under par going into the final round but Sangchan starting equal with Yu Pei-lin of Taiwan at -9, stayed ahead right through the tournament carding 66, 69 and 71 to claim the title. Renuka Suksukont, also of Thailand, playing 4 flights ahead of the winner, carded an eagle at the par 5, 17th hole to move to -9, matching the score of Hsieh Yu-ling of Taiwan, to put pressure on the Champion. 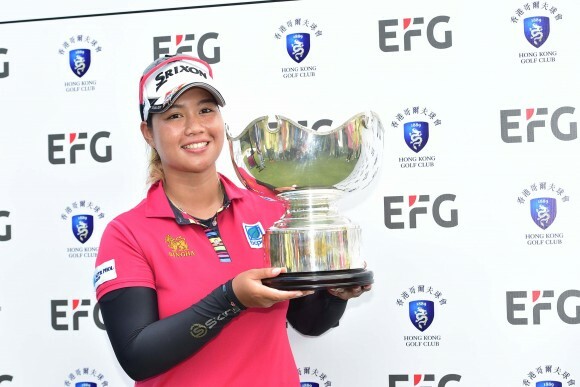 Sangchen responded with a birdie of her own on Hole 17 to open a 2 stroke lead, but her final drive just edged into the trees, she took the sensible decision to chip out before finding the green and two-putting to secure the title. 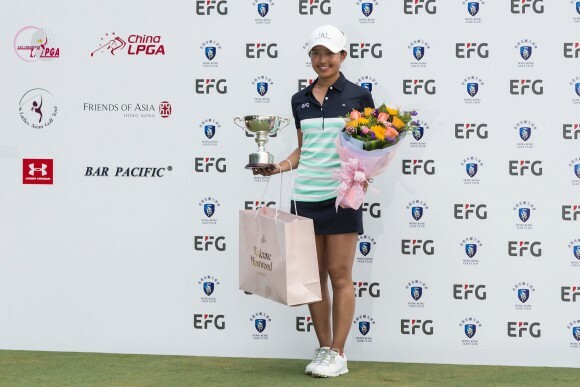 Hsieh Yu-ling finishing in equal 2nd place, started the day on -5, dropped a shot on the 1st 9 holes but then carded 3 consecutive birdies and an eagle on the par 4, 13th hole, to move to 9 under but could not break par in the final 5 holes to advance further. 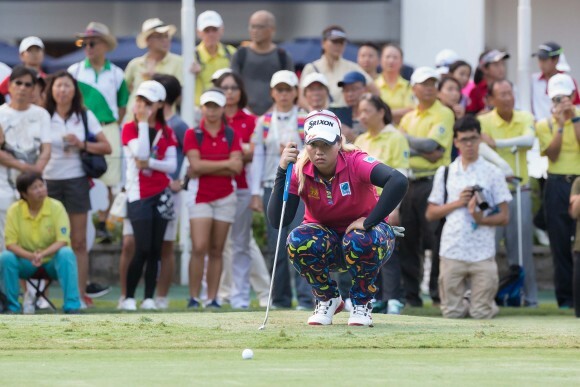 Yu Pei-lin who started the day equal with Sangchan, dropped off the pace carding double bogeys at the 11th and 13th holes, although birdieing the 17th she carded 3 over par for the day to finish at -6, tied in 8th place. 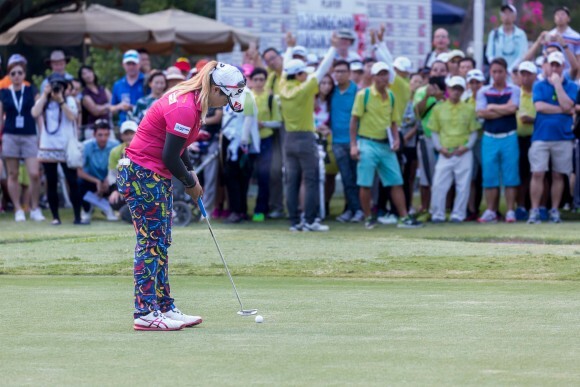 Letica Ras Anderica of Germany, birdied the 17th to move to 9 under but bogeyed the 18th to finish joint 4th. Hong Kong Olympian and defending Hong Kong Open champion Tiffany Chan starting the final round at 3 under par, struggled in the early stages with 3 bogies in the first 4 holes but pulled these back on the 4th, 6th and 9th holes. She carded birdies on the 11th and 12th holes to move to -5 but dropped a shot on the 13th before birdieing the 14th to finish tied 13, at -5. Chan was presented with the Hong Kong Cup as the leading Hong Kong player.